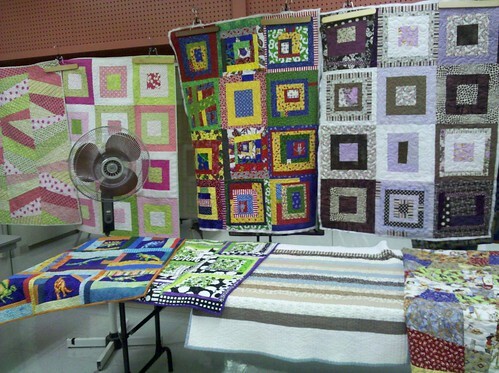 Last night was the KC Modern Quilt Guild meeting. (Yay, we have a website!) We were lucky to have Cherri House as a truly inspiring guest speaker. She showed us several quilts from her new book, City Quilts: 12 Dramatic Projects Inspired By Urban Views , told us some great stories about her quilting life, and had time for lots of questions and answers, too. I'm so glad I was there to hear her speak, and to chat with her a bit afterwards, too. 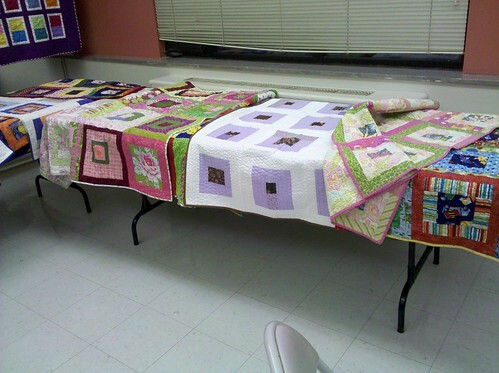 This meeting was also the early "deadline" for quilts for our group charity project. 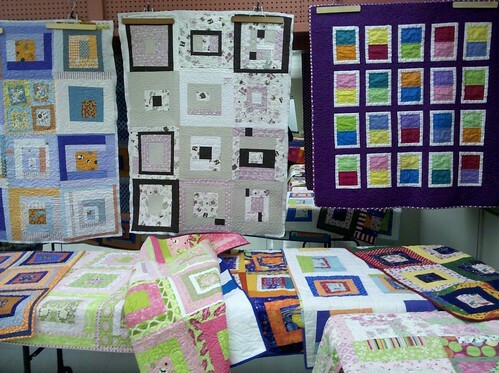 We've been making baby quilts that will be given to families at a local NICU. So far we have 25 quilts (a few of these still need binding). Aren't they beautiful? I will take individual photos of all the quilts eventually, but wanted to show how we had them displayed last night. There are a few more that we are waiting on, and then they will be labeled and delivered to the babies. I can't wait! 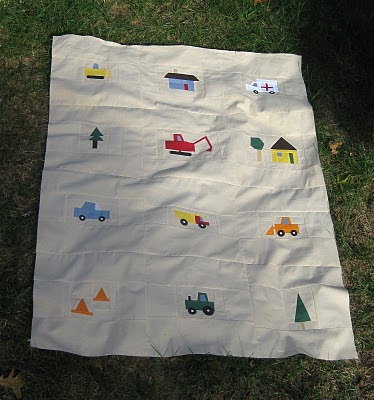 This quilt was made by Alex of Teaginny Designs, and she's created several free tutorials for making the little vehicle blocks. Check out her Busytown quilt, too! 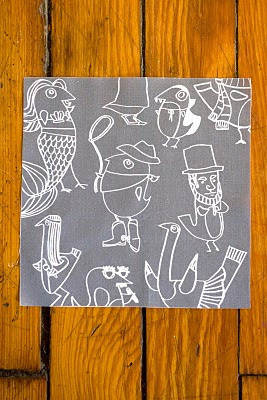 Also, I wanted to show you Lauren's Halloween birdy fabric. Next month at our meeting we will be having (the first of 2? maybe?) a holiday party complete with handmade gift exchange. I need to figure out what I'm going to make! What an active and generous group! 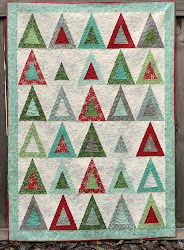 You got a lot of baby quilts completed.